Networking days full of dynamism and environmental sustainability. Last Tuesday, June 19, we organized the first Networking Days for the LIFE projects at the SERVYECO facilities. 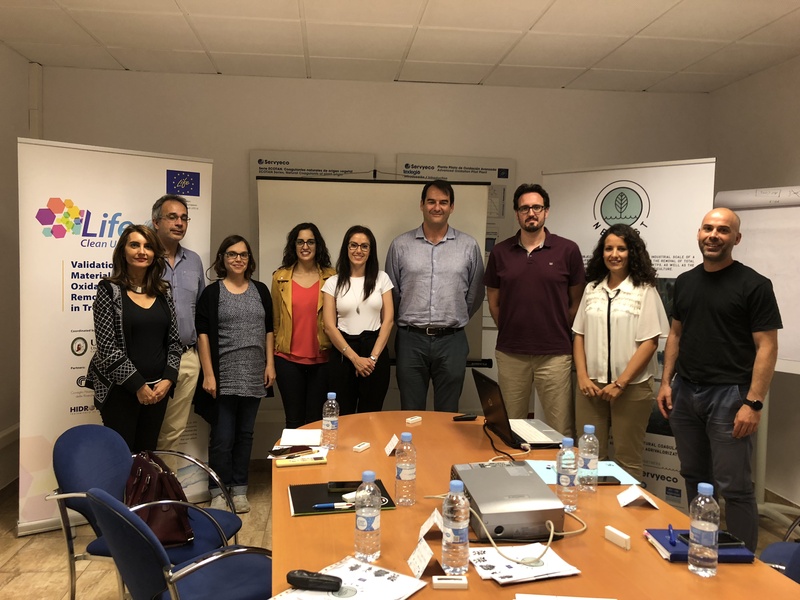 Newest, Clean Up, Demine, Ecodigestion and Bactiwater, all members of the EU Life program, participated in this dynamic event. This time Bactiwater started, whose objective is the cost-effective treatment of environmental activation for dysfunctions of the WWTP’s biological system. Second, Demine explained how to develop an innovative treatment process with technologies based on membrane processes and electrocoagulation to obtain an effluent from a non-polluting final mine. After the coffee break continued Clean Up, whose purpose is to create a technological solution for the treatment and elimination of pollutants emerging from purified water by using cyclodextrin polymers. Fourth, Ecodigestion explained how to maximize the codigestion potential of sewage sludge with different organic waste. Finally, our Newest project presented how natural-based technology would achieve the total elimination of phosphorus from wastewater, both in urban and industrial wastewater treatment plants and the valorization of sludge in agriculture. After each presentation, there were possible doubts and questions about the project, which allowed the day to be active, fluid and very productive for all participants, interacting with each other and getting to know each project a little more. We are looking forward to repeating!